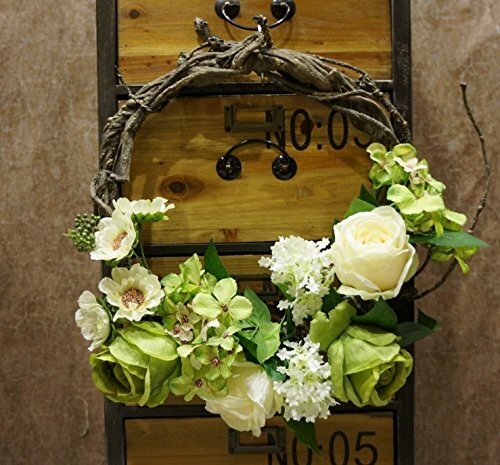 Surrounded by plump flowers,simple elegant and comfortable color,Vivid natural form,giving people artistic romantic feelings. Suitable for hanging on the door, bedroom, study room, porch wall, as embellishment. Color clarity:While every effort has been made to accurately display the colors shown on our website,colors vary to an extent due to the monitor they are viewed on. A beautiful accessory for your wedding. If you have any questions about this product by SogYupk, contact us by completing and submitting the form below. If you are looking for a specif part number, please include it with your message.